The Association for Molecular Pathology (AMP) and College of American Pathologists (CAP) have published consensus recommendations for validating next-generation sequencing-based oncology panels. The recommendations are designed to improve cancer care by helping ensure that clinical laboratory professionals achieve high-quality sequencing results, AMP said. “Guidelines for Validation of Next Generation Sequencing (NGS)-based Oncology Panels: A Joint Consensus Recommendation of the Association for Molecular Pathology and College of American Pathologists,” was released online ahead of publication Wednesday in The Journal of Molecular Diagnostics. The report addresses NGS test development, optimization and validation, starting with recommendations on panel content selection, including the rationale for optimization and familiarization conducted before test validation. Detailing requirements for minimal depth of coverage and minimum number of samples that should be used to establish test performance characteristics. “We recommend a minimal depth of coverage >250 reads per tested amplicon or target for somatic variant detection,” the report stated. “In certain limited circumstances, minimal depth <250 reads may be acceptable but the appropriateness should be justified based on intended limit of detection, the quality of the reads, and tolerance for false-positive or false-negative results. The consensus recommendations spell out core quality metrics for validation and ongoing quality control. They include nucleic acid quality and quantity, library qualification and quantification, depth of coverage, uniformity of coverage, GC bias, cluster density and alignment rate, transition/transversion ratio, base call quality scores, mapping quality, duplication rate, and strand bias. Also articulated are recommended components of a NGS validation document. Those components include: Purpose of the clinical test, acceptable clinical sample types, rationale for the inclusion of specific genes, methodological approach, types and sources of reagents and test instrumentation, bioinformatics pipeline used for data processing and analysis, detailed step-by-step testing procedure, and validation sample description. The recommendations also emphasized the role of the molecular laboratory director in establishing and using an error-based approach for patient risk management, AMP said. Since the recommendations represent current best practices, AMP said it anticipates that ongoing updates will be needed over time. AMP convened and led a multidisciplinary subject matter expert working group with liaison representatives from CAP, with the goal of summarizing current knowledge, exposing challenges, and providing guidance on how to best validate cancer panels. validation process remains challenging,” Lawrence Jennings, MD, PhD, an AMP member who chaired the working group, said in a statement. Dr. Jennings is attending pathologist, Ann and Robert H. Lurie Children’s Hospital of Chicago. The guidelines on cancer panel validation are within one in a series of reports designed to guide professionals on best practices at each step of the entire NGS workflow. 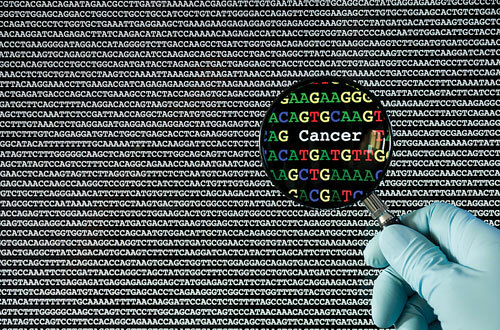 An earlier report focused on interpreting oncology sequence variants. Later this year, AMP plans to publish the next companion paper in the series, focused on downstream NGS bioinformatics analysis.